Tue., 31 Dec. - Wed., 8 Jan.
Fri., 17 Jan. - Sat., 15 Feb.
Wed., 26 Feb. - Sat., 7 Mar. Sun., 8 Sep. - Mon., 23 Sep. 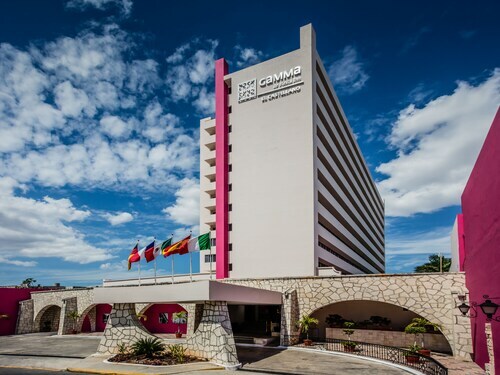 Sat., 1 Feb. - Thu., 13 Feb.
See all 326 properties in Manuel Crescencio Rejon Intl. 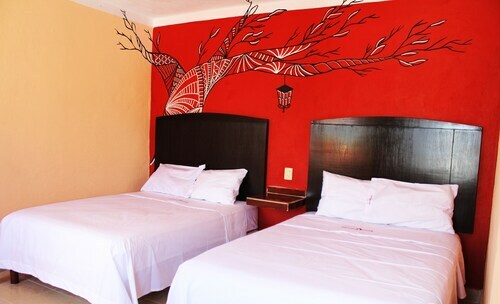 Situated in Mérida, this hotel is within 3 mi (5 km) of Zoological Park of Centenario, Paseo de Montejo, and Plaza Grande. Mérida Cathedral is 2.3 mi (3.7 km) away. Casa Cristal = Light-filled Home, Budget Friendly! 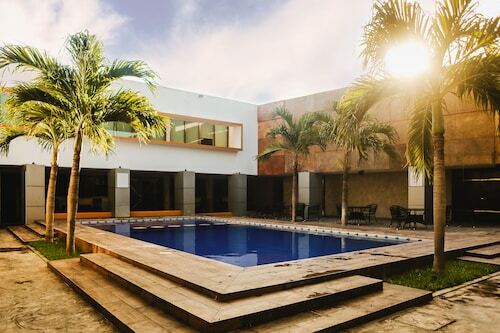 Located in Centro, this vacation home is 1.2 mi (2 km) from Zoological Park of Centenario and within 3 mi (5 km) of Paseo de Montejo and Plaza Grande. Mérida Cathedral is 2.1 mi (3.3 km) away. 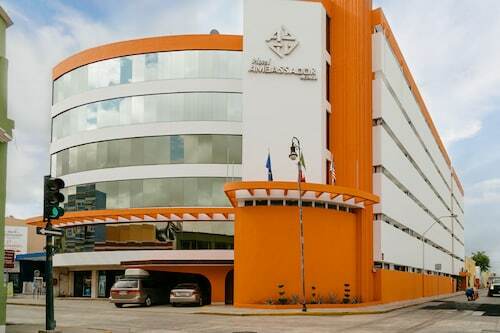 Located in Centro, this hotel is within a 15-minute walk of US Visa Applicant Service Center and Plaza Grande. Paseo de Montejo and Mérida Cathedral are also within 2 mi (3 km). 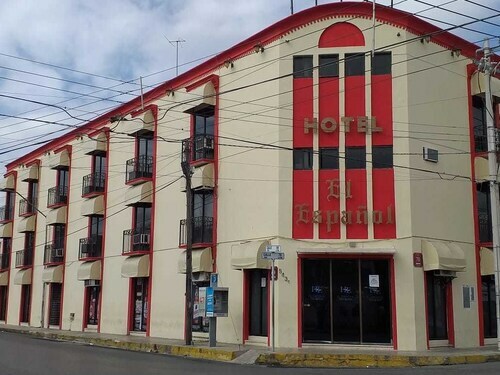 Located in Centro, this hotel is within a 10-minute walk of Jose Peon Contreras Theater, Plaza Grande, and Mérida Cathedral. Paseo de Montejo and U.S. Consulate Merida are also within 2 mi (3 km). Answer : Yes, you can change your departure or arrival date. If you want to save a little cash in doing so, the lowest-cost day to fly in April is Monday. If you are able to go with the flow, you may just find that you can pocket some extra cash. Question : How much is a plane ticket to Merida (MID) from Toronto (YYZ)? Answer : Cost can range anywhere from $461 to $1,680, prices for YYZ to MID do fluctuate a lot more than the majority of routes from Canada. However, usually the sooner you book, the better price you get. Question : How many flights are there per day from Toronto to Merida? Answer : Of course, the day of the week matters, but on average, only one flight time exists when you fly from YYZ to MID. The average route departing Canada currently has six different flight times per day, so expect fewer options than you're used to. Question : How much time do people spend in Merida? Answer : The average time spent hanging out in Merida by passengers from Toronto is 39 days. However long you decide to stay, give yourself plenty of time to see what makes Merida fantastic. Answer : The cheapest day to fly from Toronto to Merida is on Monday. So, if you want to save a bit of money on your next holiday look for flights on Monday. Question : What is the cheapest airline flying from Toronto to Merida? Answer : American Airlines strives to keep prices low for their passengers over the next three months. Bookings are being made at just $461, which is a steal when compared to the more expensive bookings of $1,680. Question : What is the cheapest date to fly to Merida? Answer : As of Apr 15th, the cheapest day to fly from Toronto to Merida is May 7th. Tickets are currently $469, which is 38% below the average price for this route.